2.Dayton HAMVENTION will be held May 19, 20 and 21, 2017 at the Greene County Fairgrounds and Expo Center. The show is moving from HARA arena in Trotwood, Ohio. The new location, Greene County Fair & Exposition Center in Xenia, Ohio, is about 20 miles south-east of HARA. You can book your QSL and I will handover them to you at the booth. More info. 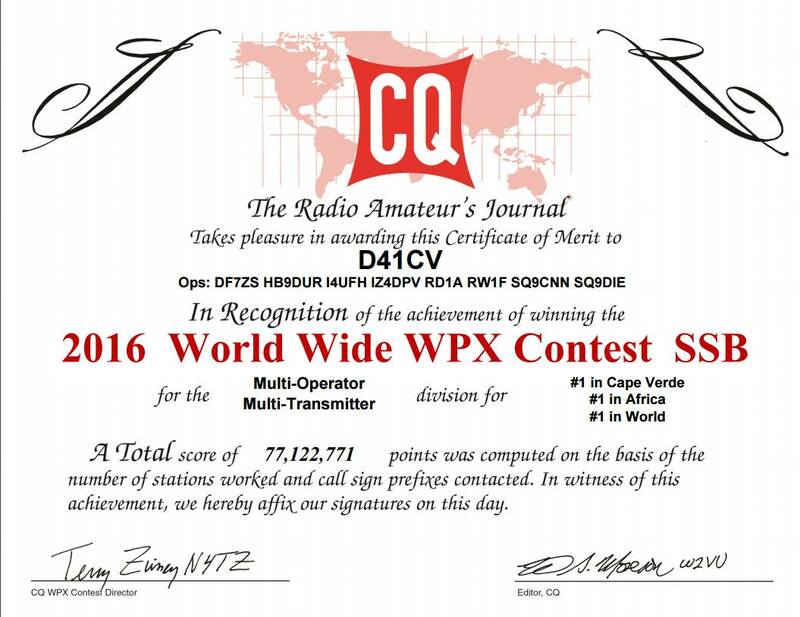 I am happy to announce our 1st place world achieved from the D4C contest station in Cape Verde with the callsign D41CV during the last CQ WPX SSB contest on march 2016 in the Multi-Multi category. 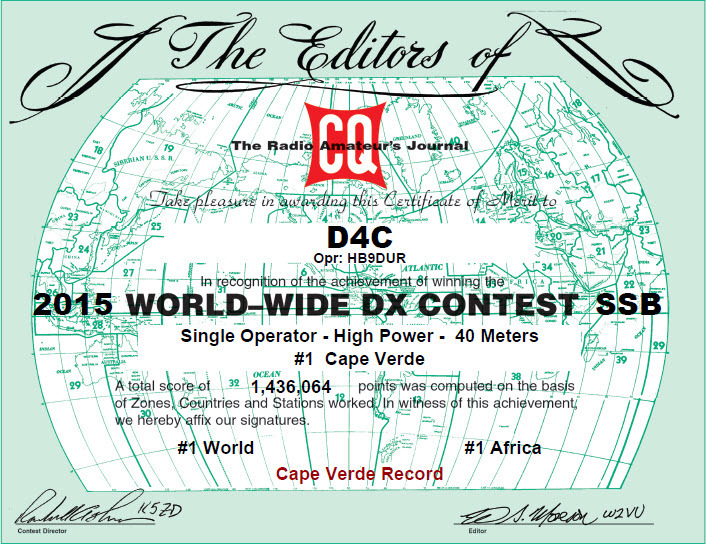 After the return from my participation with the D4C team in Cape Verde as D41CV, I have been spending several evening in replying to direct QSL received at our official address: Monteverde Contest Club, 6963 Pregassona, Switzerland. Number of incoming QSL is roughly 100 pcs and as of tonight, all QSL have been written and will leave tomorrow by Post. 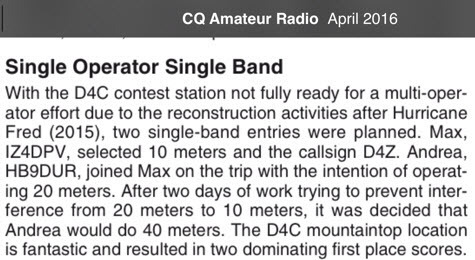 Should anyone require paper QSL and wants to pick them up at HAM RADIO 2016 in Friedrichshafen at our Booth number A1-464, we have set up an online form to be filled to avoid sending your qsl. This service expires on June 15th 2016. Thank you for spreading out the info.